Doctors Operating Illegal Pill Mills Must Be Stopped. Their Actions Ruin Lives and Rip Off Taxpayers. 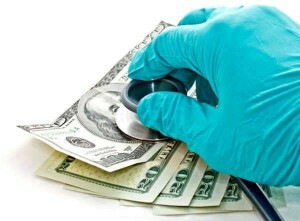 Learn How to Spot an Illegal Pill Mill and Get Paid a Cash Reward. [Updated February 2019] What do Michigan, Indiana, Ohio, West Virginia, Kentucky, Tennessee, North Carolina, South Carolina, Arkansas, Oklahoma, Louisiana, Mississippi and Alabama have in common? A huge percentage of narcotic painkiller prescriptions per capita. If you live in Georgia, Maine, Pennsylvania or Rhode Island don’t celebrate just yet, you have significant addiction problems too. According to the Centers for Disease Control and Prevention (CDC), these states have opioid drug use rates that are as much as three times higher than those of other states. And where do these dangerous drugs often come from? Pill mills. We define a pill mill as a clinic or doctor that prescribes or dispenses opioid drugs without a valid medical reason. These clinics are responsible for flooding our streets with millions of doses of dangerous and highly addictive drugs… drugs that often lead to heroin abuse, crime and death. When this article was first published in 2016, somewhere between 42,000 and 78,000 Americans died of overdoses. Three quarters of those overdoses were caused by opioids. Even by the most conservative estimates, 130 people die every day in the United States from opioids. What most concerns us are the findings by the CDC that opioid drug use has almost quadrupled between 2008 and 2014. Higher drug usage rates mean more drug abuse and patient deaths. And the number of deaths continues to climb. Older adults (aged 40 years and older) are more likely to use prescription opioids than adults aged 20 – 39. Women are more likely to use prescription opioids than men. We said above that much of these opioid painkillers are coming from pill mills. The CDC backs that up and says that just 15% come from drug dealers. In February of 2015, we wrote about one such “pain management” clinic in Detroit run by Dr. Hussein “Sam” Awada. According to a DEA affidavit, Awada prescribed an undercover operative Vicodin and Roxicodone even after a medical screening showed there was nothing wrong with the patient and the operative told the doctor he was already buying street narcotics. Who pays for all these drugs? Usually it is Medicare or Medicaid. In other words, tax dollars. Lest you think that these pill mills are small little store front operations, in Dr. Awada’s case the feds say he billed Medicare over $11 million in a five year period and that doesn’t include the private insurance payments and the tons of cash payments. Most of the other pill mills we have encountered have grossed well over a million per year too. The total amount spent on opioids by Medicare alone was $4 billion! And last month, the National Institute of Health said the prescription opioid abuse costs our economy $78 billion per year. Add in heroin and non prescription lab made fentanyl and the costs are unimaginable. If you are outraged about all this greed, there is more. The worst thing about pill mills is the misery they spread throughout our communities. Thousands of lives are ruined each years and untold families destroyed by drug addiction. The crimes that these addictions spawn also takes a toll on the community. The feds and states have been cracking down on pill mills but they can’t do it alone. For many years, the government’s primary weapon against healthcare fraud has been the False Claims Act. Passed during the U.S. Civil War, this law allows ordinary people to file a complaint in federal court against anyone defrauding Medicare or Medicaid. The person filing the complaint – called a “relator” or whistleblower – can earn a percentage of whatever the government ultimately collects from the wrongdoers. To qualify for an award, one must have inside (non public) information. Present and former healthcare professionals working in pill mills are ideal whistleblowers. Ditto for patient recruiters and even pharmacists. Not only do whistleblowers have the potential to earn a significant award, they are also doing the right thing for the community. As a former EMT, street cop and prosecutor, I have encountered hundreds of people addicted to drugs (hard drugs, not marijuana.) Most of them will tell you they want to quit. Doctors and clinics that flood the market with cheap, taxpayer funded narcotics are not helping anyone. They are merely lining their pockets at our expense and ruining our communities. By 2018, the opioid crisis became an epidemic. Then US Attorney Jeff Sessions created the Prescription Interdiction and Litigation (“PILL”) Task Force as well as the Opioid Fraud and Abuse Detection Unit. In announcing major new federal enforcement strategies, Attorney General Sessions said prosecutors were going to rely heavily on the False Claims Act, the very same act that allows whistleblowers to file claims and collect rewards. Illegal pill mills aren’t hard to find. There are several characteristics that often stand out. First, in most states patients must have a face to face doctor visit before obtaining a prescription for narcotics. If a clinic allows a friend or family member to pick up a prescription, consider that a red flag. Because the DEA requires written, paper prescriptions for most scheduled drugs, someone has to come into the office to pick up the scrip. That someone must be the patient in most states. The doctor can’t assess the patient or look for signs of abuse if someone other than the patient comes in. Hand in hand with no face to face doctor visit are forged notes. Without seeing the patient, doctors are often forced to created dummy patient records noting the patient’s appearance, pulse, blood pressure, etc. Yet another red flag are doctors that handle an excessive patient visits per hour. Face to face doctor visits are still a sham if the doctor is in the exam room for just a few seconds. Another red flag are paid “patient recruiters.” These folks are paid to pick up patients or prescriptions and get them filled. Sometimes the recruiters are paid to recruit patients in homeless shelters or get they paid by taking a portion of the patient’s drugs when the prescriptions are filled. Either way, that conduct is illegal. A final red flag are the many pill mills that charge for medically unnecessary lab tests or even charge for patients that don’t exist. In 2016, Dr. Awada was sentenced to 7 years in prison. What makes his case noteworthy is that it began with a whistleblower. In his case, a former receptionist who was tired of seeing tens of thousands of doses of narcotics being written to patients who didn’t need them. Some were written to patients who had already died. In January 2019, Dr. Jayam Iyer of Clearwater, Florida was sentenced to 6 months in prison for writing opioid prescriptions without actually seeing her patients. In addition to the jail sentence, she also lost her medical license and wont be eligible to write prescriptions until she is almost 90! Like so many other pill mills, prosecutors say that Dr. Iyer was creating false patient records to justify the prescriptions. If you have information about illegal pill mills or any other healthcare fraud, call us. All inquiries are protected by the attorney – client privilege and kept confidential. We can help you evaluate whether or not you have a case. Worried that you may have some liability because you acted as a patient recruiter or worker in one of these clinics? We can confidentially approach prosecutors before any case is filed. In our experience, the government is much more interested in the doctors than those that had a small role and later decided to come clean. Appendix: The Controlled Substances Act (21 USC sec. 801) lists all drugs which are considered “scheduled” or potentially a drug that can be abused. Schedule I drugs have a high potential for abuse and no currently accepted medical use. These cannot be dispensed or prescribed by anyone. Common examples include heroin, LSD, marijuana (cannabis), peyote, methaqualone, and MDMA (“ecstasy”). Drugs on Schedules II through IV have acceptable medical uses. Schedule II drugs have a high potential for abuse but do have legitimate medical uses. In the opioid category, these include morphine, oxycodeone, hydromorphone methadone, meperidine, oxycodone (OxyContin®), and fentanyl. Schedule III opioids have a moderate potential for abuse and addiction. Drugs in this category include low doses of hydrocodone and codeine. Schedule IV opioids have a low potential for abuse. An example is propoxyphene (Darvocet). Schedule V — Substances in this schedule have a low potential for abuse and consist primarily of drugs with very small quantities of opioids or opioids that can’t pass through the brain barrier. Cough medicines are common examples.